ENG: Hello, guys, have a great Sunday, everyone! 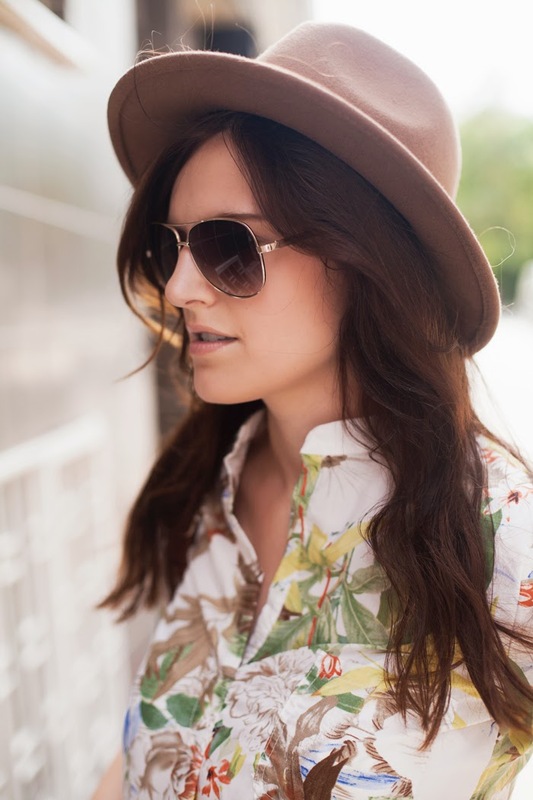 Brown accessories are my favorite: I have same passion about them in summer and winter. 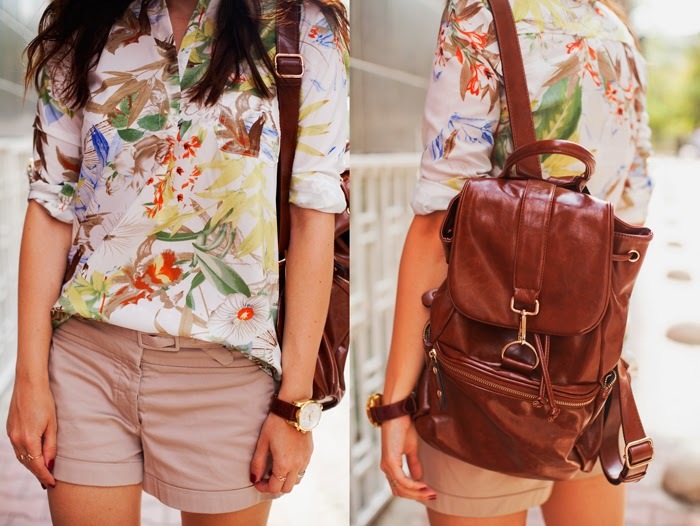 How is amazing much they do with tan shorts and shirt with tropical print. Kind of personal jungles! Thanks, for visiting! RU: Привет, друзья, всем отличного воскресенья! Аксессуары цвета древесной коры – одни из моих фаворитов даже в жаркое время года. Отлично сочетаются с бежевыми шортами и тропической рубашкой. Вот такие личные джунгли. Спасибо, что заглянули! Какой замечательный образ! Стильно, спортивно и красиво! Обожаю твои луки! Удачного дня! Целую! Fabulous backpack! Absolutely love it! Very cool backpack and hat! You look so feminine today, what a lovely look! 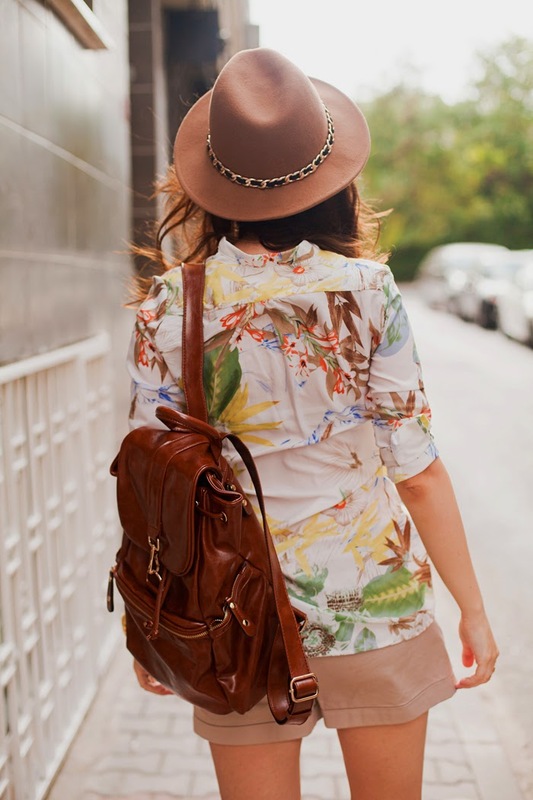 Love this safari inspired look complete with a hat and shorts! you look amazing! I am in love with the way you style these prints! I love it, pretty look. what a fab look indeed! I think that you simply can do with some percent to power the message house a little bit, however instead of that, this is magnificent blog. A great read. I'll certainly be back. Gracias por compartir su pasión por el mejoramiento de Juegos Kizi Kizi Games Juegos Kizi las vidas de los niños en el Estado de Friv Jeux De Fille Jogos Friv Gracias por vuestras reacciones a Jogos Friv Juegos Kizi Juegos Friv las transmisiones que os han hecho.